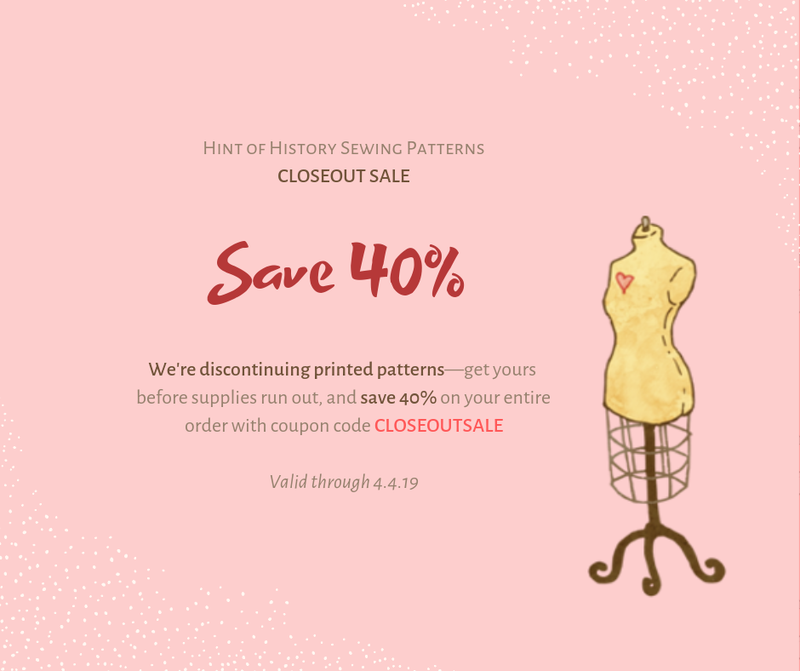 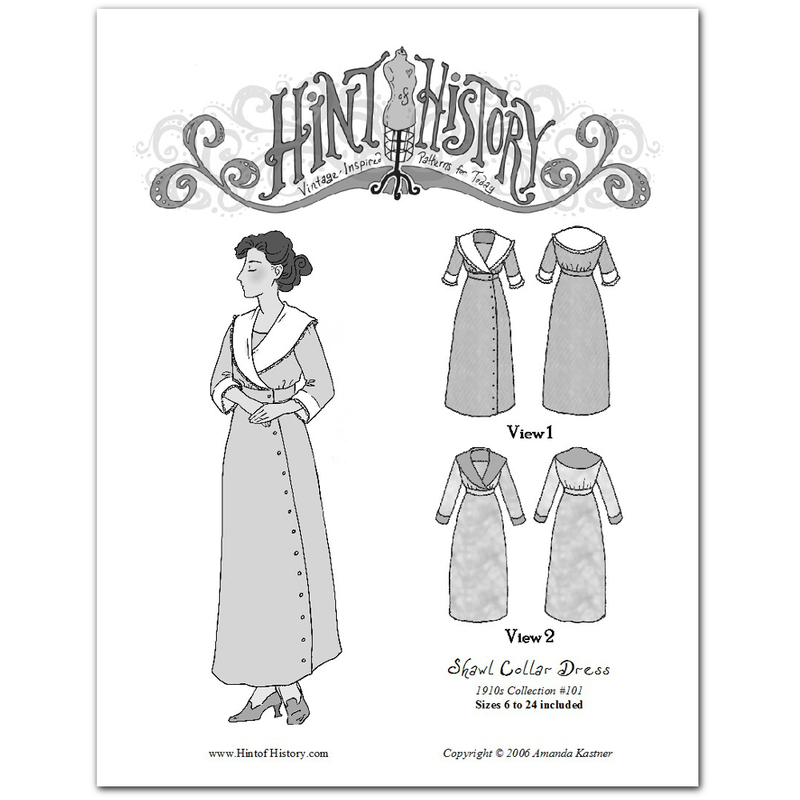 Based on a fashion plate from 1912, this pattern comes with two options. 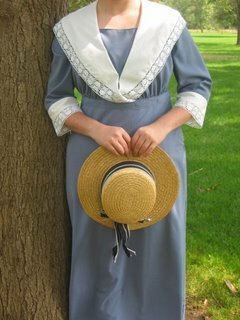 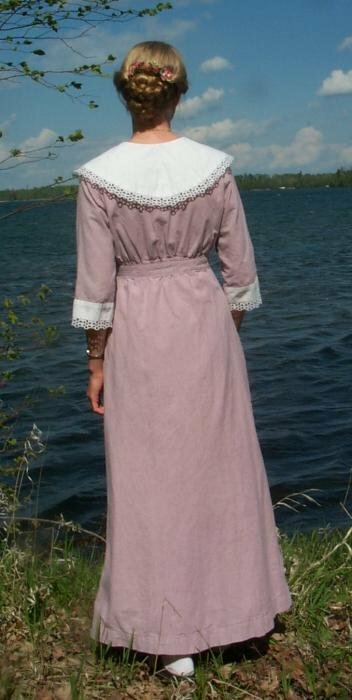 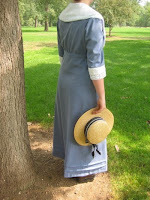 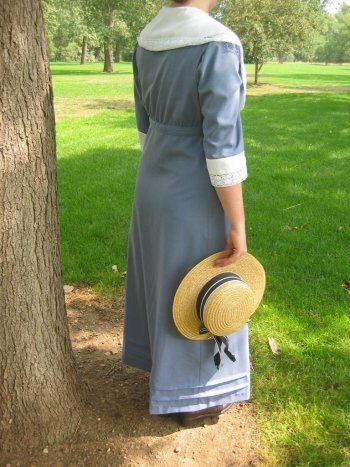 View 1 features a lace-trimmed collar, 3/4 length sleeves and asymmetrical side front button closure, which is very typical of the era. 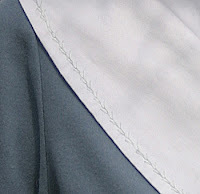 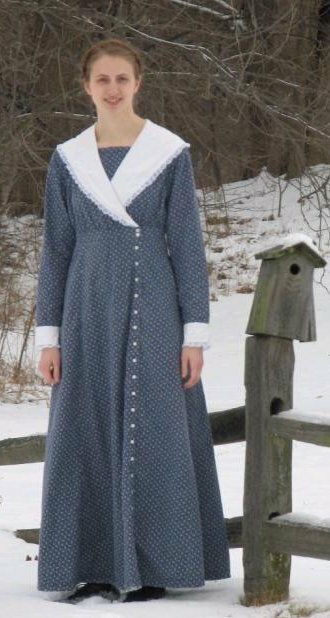 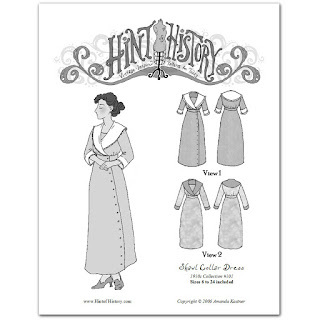 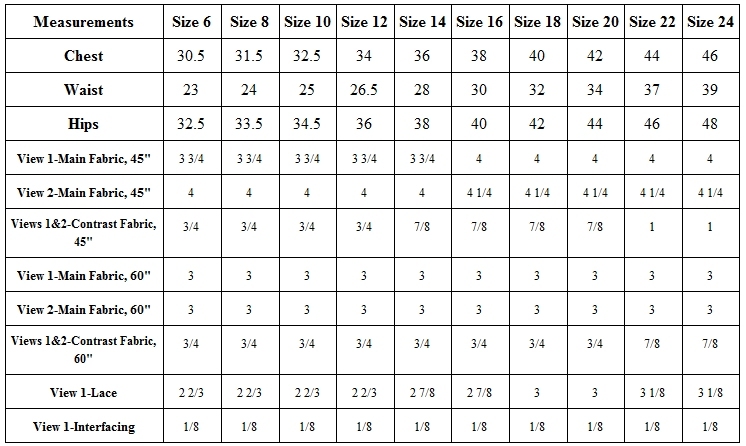 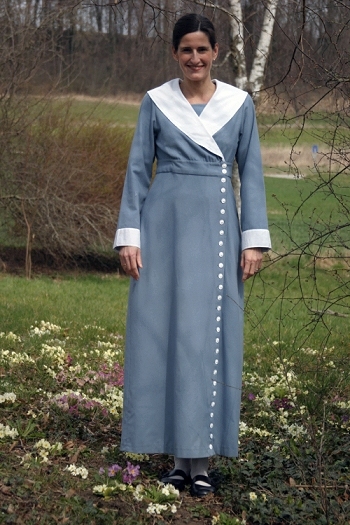 View 2 is a simpler design with a plain or piped collar, full-length sleeves and side skirt-hook closure.